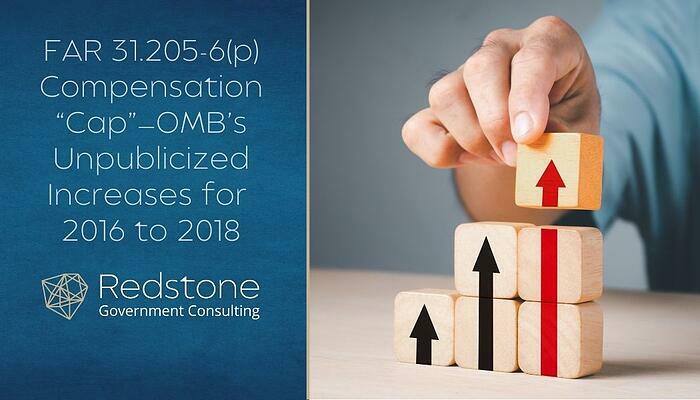 In late 2013, the BBA (Bipartisan Budget Act) significantly changed the FAR 31.205-6(p) regulatory cap for allowable contractor employee compensation. 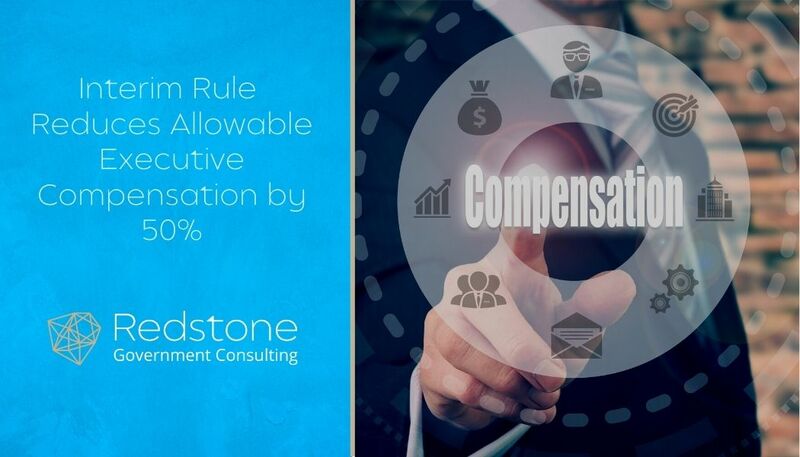 In a highly politicized action, the Obama Administration convinced Congress to reduce allowable compensation to $487,000 for any contractor employee effective for contracts on or after June 24, 2014. Additionally, Section 702 of the BBA prescribed the method for annual increases to the statutory cap (based upon the change in the Employment Cost Index for all workers as calculated by the BLS (Bureau of Labor Statistics). On June 30, 2015, the U.S. Department of Labor (DOL) increased the McNamara-O’Hara Service Contract Act (SCA) Health & Welfare benefits from $4.02 to $4.27. 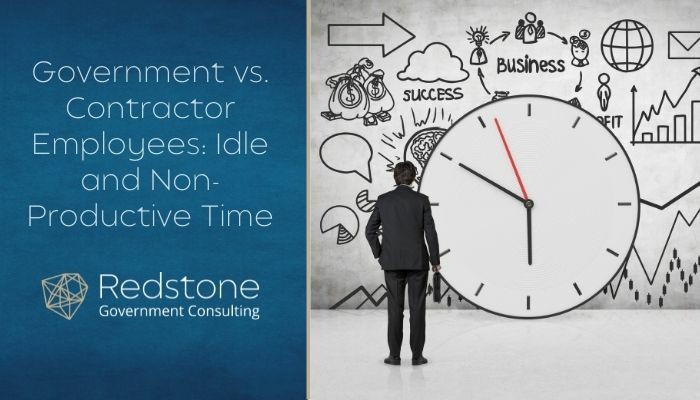 A notice is not sent directly to contractors and unfortunately for them the importance of this change lies with timing. 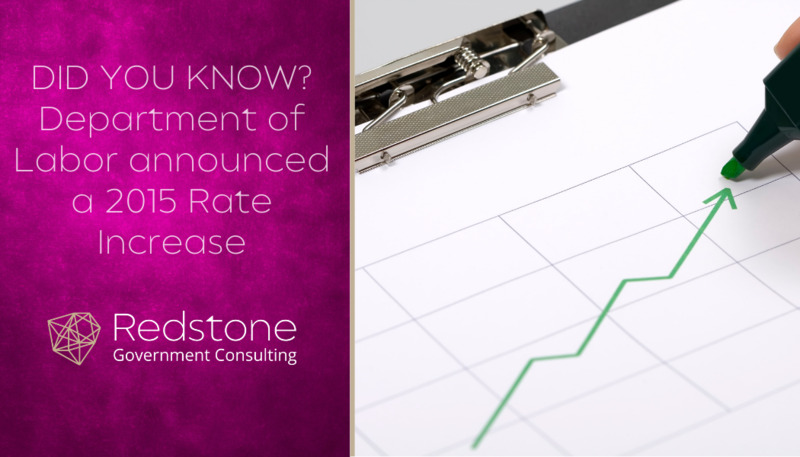 For those contractors that are currently working diligently on preparing cost proposals, this increase will directly affect you. 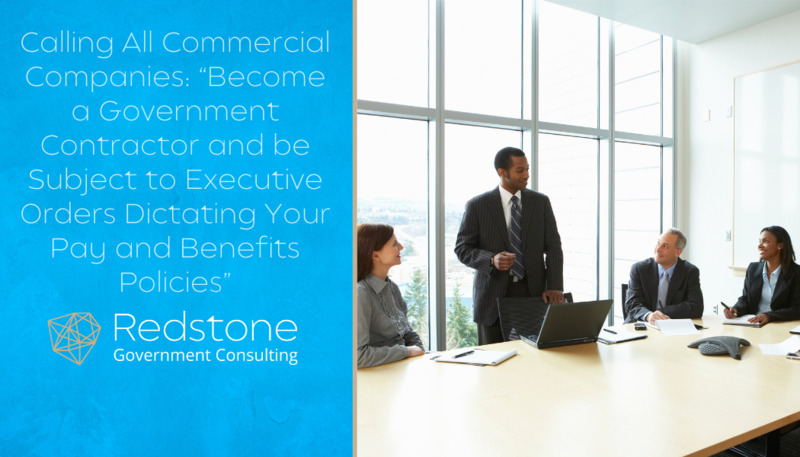 According to the DOL memorandum that put this change into effect, “all invitation for bids opened, or other service contracts awarded on or after June 30, 2015, must include an updated SCA WD issued in accordance with the regulatory health and welfare (H&W) fringe benefit determination methodology.” So if you have recently submitted a proposal subject to the SCA, we suggest that you ensure that your H&W meets the SCA H&W requirement of $4.27. In an Executive Orders (EO) issued on Labor Day, President Obama continued to display his willingness to manage the personnel policies of government contractors. This latest EO, one of many directed solely at Government contractors, will require contractors to provide up to seven days paid sick leave (annually) for employees. The EO comes with the typical unsupported rhetoric that “we’ve seen that many companies, including small businesses, support these policies because they understand it’s helpful with recruitment and retention” and a separate assertion “that paid sick leave will improve contractor performance”. Perhaps unintended, but it is noteworthy that the White House did not state that many companies support the notion that paid sick leave will “improve contractor performance”; by implication, the White House could not find any companies which were sufficiently naive to buy-in to that highly speculative and wholly unsupported assertion. On April 15, 2015, members of the self-proclaimed Congressional Progressive Caucus called for an Executive Order (EO) which would define a model employer and provide model employers with preferences in terms of government contract awards. The Progressive Caucus envisions an EO which would define a model employer to include a minimum wage of $15/hour, other benefits including paid time off, full-time hours and predictable schedules. As noted by this Caucus, the 2014 EO which raised the minimum wage to $10.10/hour for employees of government contractors was simply not enough to eliminate stagnant wages which tether jobs to poverty and government assistance. 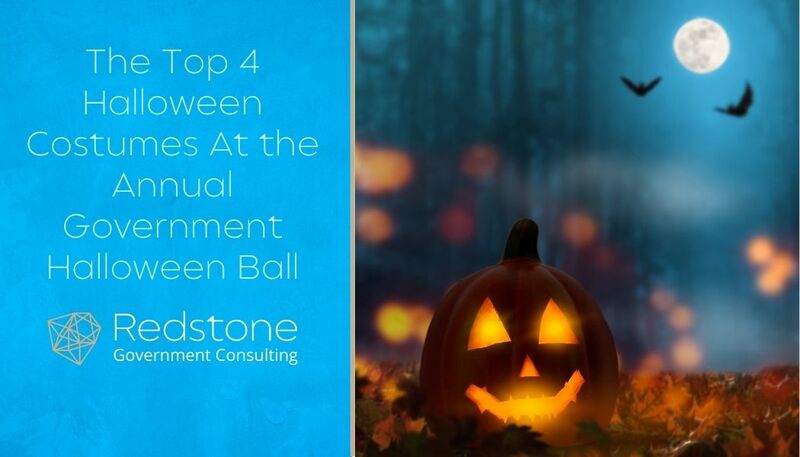 Although we once again failed to receive an invitation to attend the Federal Government’s Annual Halloween Ball, we have it from a reliable source that the following were the top four costumes for Government Officials and/or Agencies. In addition, we’ve identified the most likely reasons for the popularity of the top four costumes. As a by-product of government shutdowns, we’ve now seen two occasions where government employees were paid for non-productive time while in furlough status (in fact, the furloughed employees were explicitly prohibited from working notwithstanding the fact that in both 1995 and now in 2013, employees were “made whole” once the government was funded. Although it was through no fault of the government employees who have been compensated for non-productive time, the fact remains that the taxpayer is footing the bill for idle, non-productive time on the part of thousands of government employees. Do Federal Employee Labor Unions Believe Contractor Employees are Paid Too Much? All one has to do is read a recent article written by David Cox, President of the American Federation of Government Employees (AFGE), to derive the answer to this question, and the answer is that contractor employee compensation should be brought in line with the salaries that public sector employees (e.g., federal civilian personnel) are paid. Data published on our website, such as our white papers, blogs and other government contracting commentary reflect our interpretations and opinions of current events and regulations, at the time such data is published, and the perspectives/opinions of other professionals in our industry may vary from our own. Further, our commentary and perspectives do not reflect legal analyses, since we are not attorneys, but rather government contracts and accounting advisors. We therefore make no representation that the use of our published information will insulate a company from government challenges, nor otherwise ensure a successful defense on any government procurement adverse action. Readers agree that articles or blog commentary presented within our website shall not be replicated or re-published without requesting before publication in another medium, and our expressed written consent to do so.